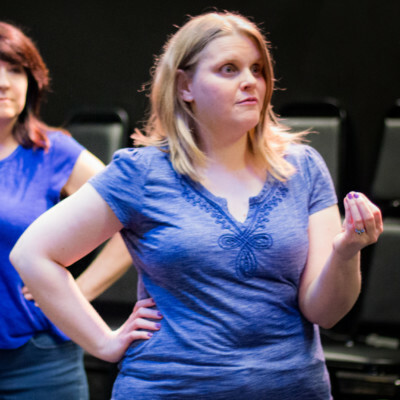 These classes are tailor-made for improvisers to get personal, specific feedback from the instructor on their improvised scenework. Students can inform the instructor of any goals they might have for themselves and/or request that she make her own recommendations based on their performance. Class size is limited. Students can sign up for just one class, the whole session, or anywhere in between. Amanda Rountree's skill as an instructor is top notch. Her insight is amazing, and it is matched by her succinctness in giving constructive and critical feedback. She offers the learner clear directions on their path of development in the art of improvised theater and a deeper understanding of the nuances of performance. Amanda is an amazing improv teacher. Her enthusiasm and performance experience shine through in her teaching, enabling her to help students make huge improvements in their skills while having loads of fun. Amanda gives some of the most insightful and best feedback I’ve ever gotten. She zeroed in on the barriers to my goals, and helped me overcome them. After several Scene Doctor sessions, I felt like a different, much improved improviser.